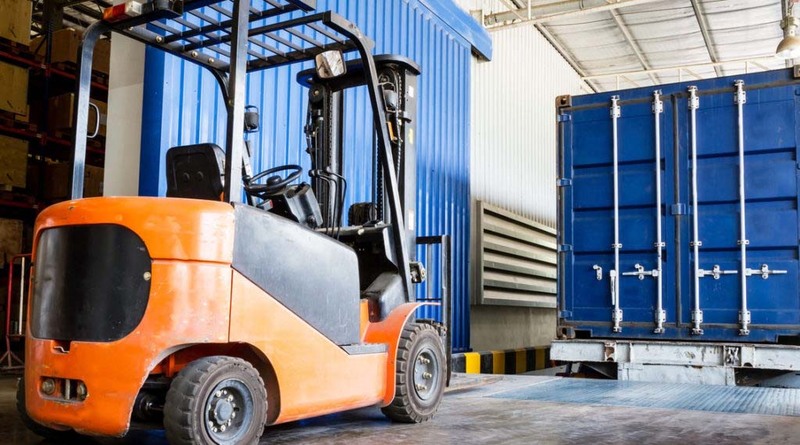 Forklifts are a very useful and popular piece of equipment in many Victorian workplaces and can cause serious injury in which case an experienced forklift accident lawyer can help. However, they can also be very dangerous. Forklifts are a major cause of serious injury in Victorian workplaces. Even when they are travelling at low speeds they can crush pedestrians. They are powerful pieces of equipment and can become unstable when the load is unevenly balanced. For that reason it is of paramount importance that employers have policies and procedures in place to minimize any risk of injury. On average, about 200-250 people are still seriously injured by forklifts every year in Victorian workplaces. That equates to between 3-5 people every week. Work Safe Victoria has noted this alarming trend and over the recent years has made many campaigns warning employers of the dangers of forklifts. With that being said, in our experience there are still employers who do not have appropriate policies and procedures in place to protect its employees or visitors from accidents. If you have sustained injuries at your workplace as a result of an accident involving a forklift, the most appropriate course of action would be submitting a Workcover claim. You should also be contacting an experienced forklift accident lawyer to protect your interest. Once your claim has been accepted, your employer’s insurer will cover most of your lost wages and all of your medical expenses relating to the injuries. These statutory benefits are available to all employees who have sustained injuries in the course of employment. Nonetheless, where it gets interesting is at the common law aspect. If you can show that your injuries were sustained because of the fault of somebody else you are entitled to bring proceedings against that person/organisation for compensation. Many law firms look at these types of accidents and automatically believe it to be under Workcover legislation at common law. This is not necessarily the case. At Henry Carus + Associates the forklift accident lawyers are trained to look at these situations and identify whether the accident is one which falls within the scope of the TAC or Workcover. The forklift accident lawyers look at the definition on whether the accident was one which arose out of the use of a motor vehicle. There must be some physical connection with the forklift and something about the forklift that is a cause of the accident. Most forklifts are also used on public roads and highways for the purposes of loading and unloading and as such are required to be registered. Part of the registration payment for each vehicle registered in Victoria goes to the TAC. Even, in circumstances where forklifts are not registered, taking into account the relevant definitions it may still fall within the scope of TAC. Does the Court agree with this approach? The topic on what constitutes a motor vehicle and what falls within the scope of TAC has been subject to litigation. In essence the Court looks at what the motor vehicle’s ‘intended use’ was. For example, was a forklift intended to be used on a public road or on a highway? The Court confirmed that when looking at the definition of ‘intended use’ of a motor vehicle (such as a forklift) it should be looked at objectively. That means the Court does not care whether the employer did or did not intend to use a forklift on a public road or on highway. Rather, the Court only looks at whether one of the forklift’s intended purposes was for it to be used on a public road or highway ( 1 TAC v. Ball  1 VR 64; TAC v Hogan (2013) VSCA 335 ). We are in the process of litigating a case for one of our clients who was involved in an accident involving a forklift. Our client was a delivery driver and on this occasion parked his truck on the premises of the Defendant. In the process of unloading goods from the truck our client’s finger was jammed between the T Bar and the forklift due to negligence of the Defendant. He submitted a Workcover claim and had his medical expenses and his lost wages covered by the Defendant’s insurer. The forklift in question was not registered at the time of the accident. However, after conducting our own investigations we found that the forklift was registrable and that it was indeed registered some time after the accident. Taking this into account, we wrote to the TAC and set out our reasons as to why we believe this accident was a transport accident. The TAC agreed with our thought pattern and in turn granted our client a Serious Injury Certificate as well as access to common law. Recently we have had extensive correspondence with the lawyers from the other side on this issue. They do not agree that our client’s accident was a transport accident. Their argument is that the forklift was never used or intended to be used on a public road and thus cannot be classified as a transport accident. We disagreed and pointed the other side to the Court’s interpretation on the matter. We advised the interpretation is objective and not subjective as their argument suggested. The other side has since accepted that the definition is one which is to be read objectively but the matter remains in litigation. At Henry Carus + Associates we pride ourselves on getting the best possible results for our clients and exploring all available options to achieve that result. If you wish to get further information on your entitlements as a result of workplace accidents and/or transport accidents please feel free to contact our office where one of our forklift accident lawyers will be happy to assist.